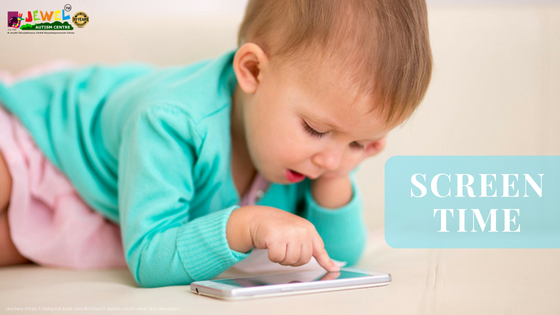 Discourage any type of screen media in children younger than 18 months. According to recent research by Paediatric Academic Societies Meeting (2017) children who use handle screens- smart phones, tablets and electronic games- before they begin to talk may be at higher risk for speech delays. Each 30 minute increase in handled screen time translated into a 49% increased risk of expressing speech delay. Each 30 minute increase in handled screen time translated into a 49% increased risk of expressing speech delay. Children learn to talk and communicate through interaction with other people. That’s the way it has always been and that’s the way it will continue to be, despite any new technology that comes our way. The first several years of life are crucial for your child’s language development. It is when their brain is the most receptive to learning new language and is building communication pathways that will be with them for the rest of their lives. Ones that window is closed, it is difficult for someone to learn and develop language skills. Every minute that your child spends in front of screen is one fewer minute that he could spend learning from your interaction with him or practising his interaction with you. Screen time takes away from time that should be spent on person to person interaction. It is highly recommended to discourage any type of screen media in children younger than 18 months. Children under 18 months of age should not be exposed to any screen time at all, citing risks of over stimulation and the possibility for disconnect between baby and parent. Limiting screen time consumption/ exposure. Setting limits on where touch screen devices are allowed to be used in home. Limit / No use of hand held devices during bed time and feeding time. Consuming media together as a family and using it to spark conversation. Talk to the child / tell the child what’s going on media in short words, thus they understand meaningfully rather than their own imagination. Ensuring that media consumption does not interfere with adequate sleep, physical activity, or other behaviours essential to your child’s health. Parents should focus on functional words (Tata, bye, give, take) this helps your child in social interaction.